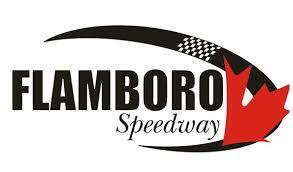 Running their inaugural season of competition at Sunset Speedway, the Grassroots Performance Bone Stocks put together some great features across the feature. As we embark on the off-season, let’s take a look back on three great feature moments, as well as a single qualifier shocker. With Kyle Neumeister away for the weekend, the crew decided to play and did in style with Nathan Hawkins driving the No. 92 to victory lane on August 18. Hawkins had to relatively easy, battling early with Peter Inglis for the lead. But once he got out front, there was no stopping him as he cruised to the win ahead of Peter Inglis. The battle for third, though, was intense, with close quarter contact racing off of turn four in the late stages as Gary Foude got the spot over Chris Johnston. We know Allan Lankin can get the job done behind the microphone, but he also proved that he could hold a pretty wheel, too. Driving Aundrea Lusk’s No. 17 entry, he led most of the feature before being passed on the last lap for the lead by Kyle Neumeister. Lankin crossed the checkered for a runner-up, and there is hope that it leads to more fun opportunities. Emotional victory lanes are always fun, and we got one of those, too. Dedicating the victory to his cousin, Brandon Burnett held off Kyle Neumeister to win the Grassroots Performance Bone Stock feature at the end of June. Burnett led from the drop of the green flag, as Neumeister worked his way through the traffic. In the closing stages of the feature, Neumeister closed the gap between himself and Burnett, finding himself right on his fellow competitor’s bumper. However, there’d no way around, leading to Brandon Burnett scoring the feature victory ahead of Kyle Neumeister, Aundrea Lusk, Connor Maltese, and Kris Inglis. The second heat on the opening night of competition took taking flight to a whole new level. Peter Inglis started on pole, and was working at keeping both Andy Wheller and Kyle Neumeister behind him. The pair got a run as they came up upon Kris Inglis’ slower car, sending them each their own direction, with Peter taking the route through the grass and catching some air in the process.